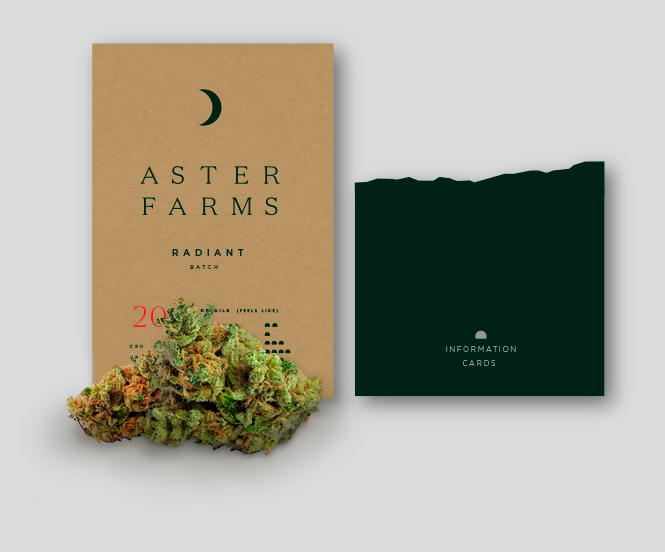 At Aster Farms, we believe in the healing effects of cannabis and are dedicated to providing the highest quality flower. The Cleanest, Meanest, greenest around. we value good genetics, clean cultivation and the power of nature. We’ve built a system to classify our products effects to better suit your needs. On each package look for the sunscape to guide your experience.